History: 40 year old with abdominal pain and diarrhea. 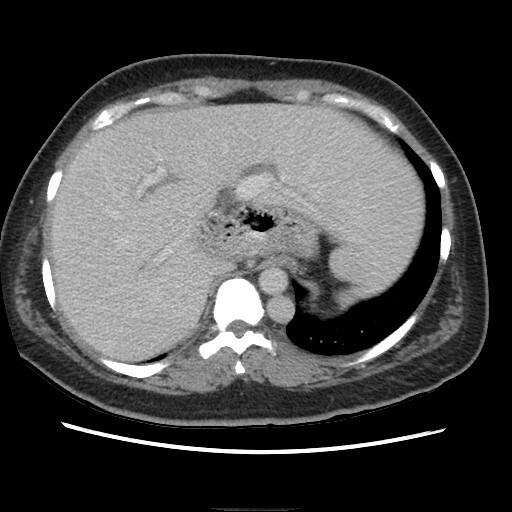 Transposition of the Inferior Vena Cava: Single axial CT scan of the abdomen with contrast shows a large left sided IVC posterior to the aorta at the level of the diaphragmatic crura. Transposition of the inferior vena cava: Single axial CT scan with contrast through the lung bases in the same patient shows the left sided IVC crossing posterior to the aorta. Not shown, eventually the IVC anastomoses with the hepatic vein to enter the right atrium. Congenital anomalies of the inferior vena cava in about 0.2-0.5% of the population. 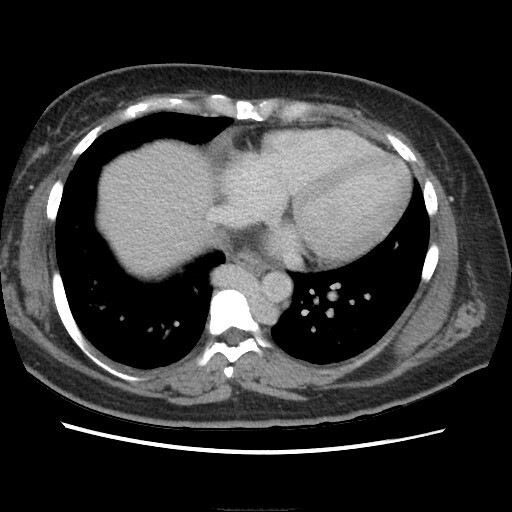 Left sided IVC, which is this patient’s diagnosis, is seen in up to 0.5% of the population. Other anomalies besides transposition of the inferior vena cava include azygous continuation of the inferior vena cava, circumaortic left renal vein, and retroaortic left renal vein. These congenital variants are benign and usually require no treatment, but are important to be aware of in case of future intervention requiring access through the inferior vena cava.